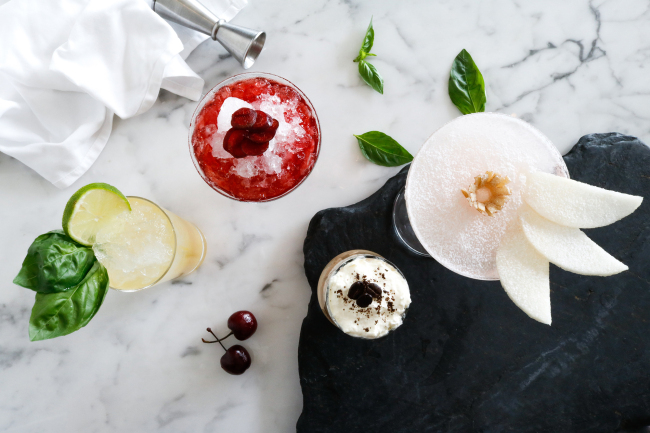 The Grand Hyatt Incheon’s Swell Lounge is offering frozen cocktails through Aug. 31. The cocktails come in four varieties: Noah’s Kalamansi, Sweet Kelly, Overnight at Roppongi and Cherry Beam. The Noah’s Kalamansi is made of a premium vodka, kalamanshi, sprite and crushed ice on top. The Sweet Kelly is a mix of vodka, coconut milk and expresso blended with ice. The Overnight at Roppongi is a combination of pear and sake. The Cherry Beam is concocted from Jim Beam whiskey with a cherry flavor. Each drink is 15,400 won. For more information and inquiries, call (032) 745 1234 or visit incheon.grand.hyatt.kr. The Sheraton Seoul D Cube City Hotel’s Feast buffet restaurant is offering authentic Thai dishes prepared by guest Thai chefs from Le Meridien Bangkok from July 28 through Aug. 17. Various kinds of salads, main dishes and desserts are on offer, including tom yum goong spicy and sour prawn soup, phad Thai noodle, som tun gai yang green papaya salad with grilled chicken, yum som-o goong sod Thai pomelo salad with shrimp, gai satay grilled chicken skewers with peanut sauce, yam pla krob deep fried sea bass with mango salad and Thai herbs, gange phet ped Yang creamy red curry with roasted duck and lychees, khao phad poo fried rice with crab and hormok pla steamed fish and shrimp cake with curry mousse. 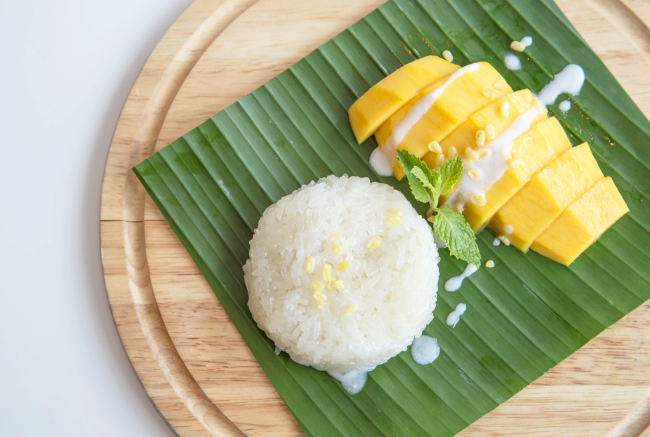 Thailand’s signature desserts mango sticky rice with coconut milk, coconut rice pudding and bananas in coconut syrup are also available. The dishes are available for lunch and dinner buffet starting from 63,000 won. For information and reservation, call (02) 2211-1710. The Oak Room, Millennium Seoul Hilton’s traditional English-style bar, is offering special Happy Hour drinks, including unlimited draft beer and house wine for 30,000 won, every day from 6-8:30 p.m.
A choice of following snacks is available: California rolls with tuna and pineapple; fried squid with spicy tomato sauce; three-way fried potatoes with beans, curry mayonnaise and tomato sauce; or tortillas with avocado and spicy tomato sauce. With the opening of the Seollo 7017 overpass civic park adjacent to the hotel, the Oak Room has become the optimal spot for get-togethers with friends and family as well as business. For information and reservation, call (02) 317-3234. 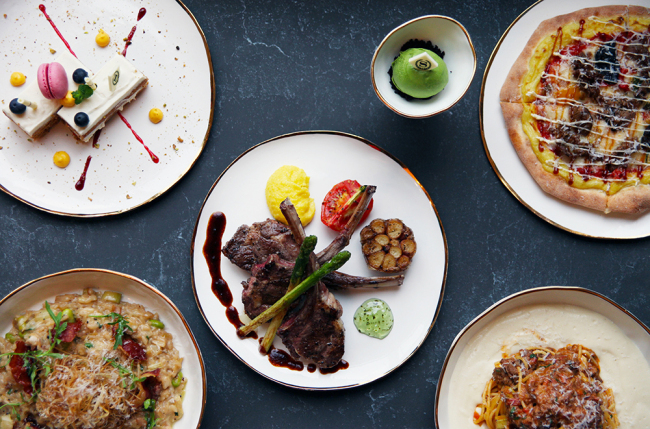 The Sheraton Grand Incheon Hotel’s Italian restaurant Bene is offering a promotion of dishes served on ceramics designed by Korean ceramist Lee Hea-mi through July 30. Chef David of the restaurant has devoted himself to menus that harmonize with aesthetic designs of special ceramics to be featured. The dishes include risotto with Italian prosciutto, green onion, horsebeans, asparagus and parmesan cheese, bulgogi style mini sized pizza, lamb chop steak with polenta mousse and mint pesto and creamy potato curry spaghetti. Lee won the 2008 Seoul Contemporary Ceramics contest and Earthen Figurines contest. The promotion starts from 19,000 won with reservation, as the number of ceramics is limited. For information and reservation, call (032) 835-1716~7. The Park Hyatt Seoul’s Italian restaurant Cornerstone is offering a brunch promotion of southern Italian cuisine every weekend from 11:30 a.m. to 3 p.m. for 99,000 won per adult through Aug. 31. Children under 12 can fine with the family free of charge. The promotion features dishes including arancini from Sicily, Neapolitan pizza, fish ceviche and homemade gelato. 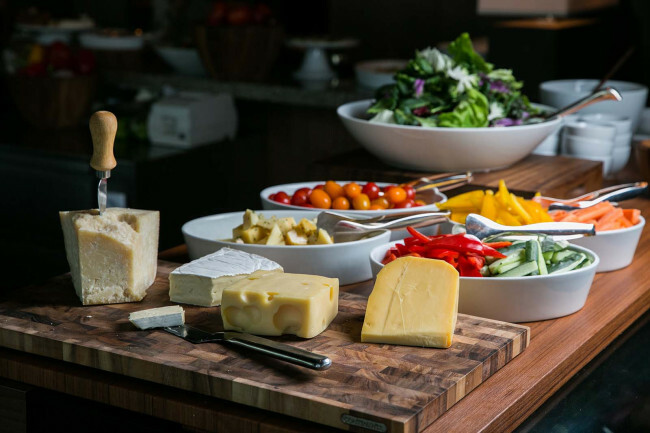 The antipasti section of the buffet offers organic salads and different kinds of cheese and salami. The crudo counter has fresh seafood delivered daily from Jeju Island. The dessert station provides Italian desserts like homemade tiramisu, gelato and tarts. Main dishes include grilled Australian black Angus sirloin, roasted lobster, Campanian grilled sea bass, grilled lamb rack and Italian burger. 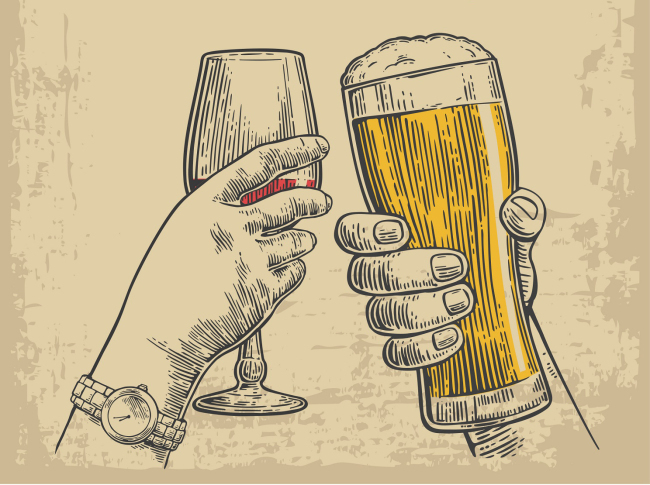 Guests receive unlimited sparkling wine or a cup of tea or coffee during brunch time. For information and reservation, call (02) 2016 1220~1.